Fresh Art Festivals are one of many fun, culturally enriching opportunities that Rob and Cate can put together for your organization. Perfect, if you have an iconic scene or architectural wonder that you’d like to see depicted by a diverse group of artists. After the works are complete, they can be auctioned to your patrons, who would love a keepsake of the place they’ve come to love. 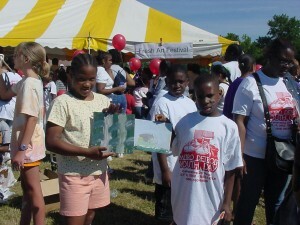 Robert has organized FAFs at the Detroit Yacht Club, the Venetian Festival in Saint Clair Shores and numerous public and private outdoor events. Imagine the thrill of watching a work of art emerge, right before your eyes. Talk about inspirational. 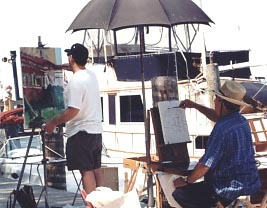 Robert Maniscalco can put together quite a roster of top plein air artists (those who work in the open air). If you have site that your guests might like to see immortalized our artists can create an experience you will never forget. 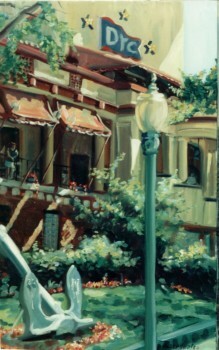 Our artists arrive on the scene in the morning and begin painting views, sometime often upon advance request. Guests arrive to see the artists working at various stages of development. Later in the afternoon, the works are gathered together, still wet. They are then exhibited and a “meet the artist” event is afoot. At fundraisers we put together a silent or live auction; proceeds are split between the artists and the sponsoring organization. If you would like Robert Maniscalco to organize a Fresh Art Festival as part of your next outdoor function contact Robert or Cate!